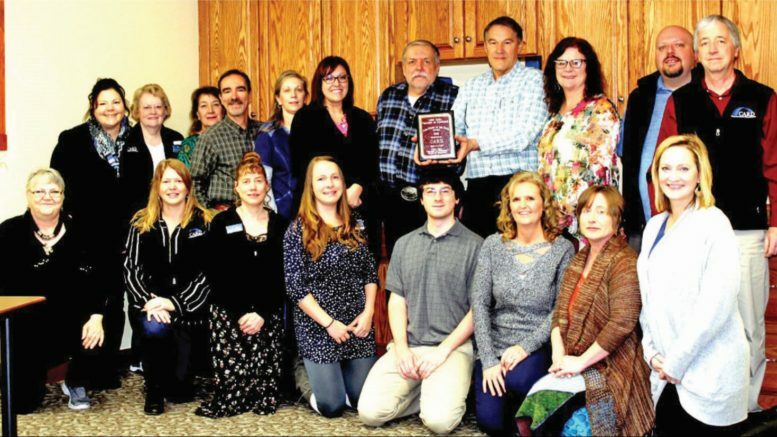 The Center for Asbestos Related Disease recently received an award for Nonprofit of the Year at the annual Libby Chamber banquet. The clinic provides long-term screening, health monitoring, disease diagnosis, specialized asbestos healthcare, and counseling to all people impacted by Libby amphibole asbestos. In addition, they provide outreach, advocacy, disease prevention and research to benefit all people impacted by asbestos. CARD staff pose with their nonprofit of the year award. Photo courtesy Dusti Thompson.